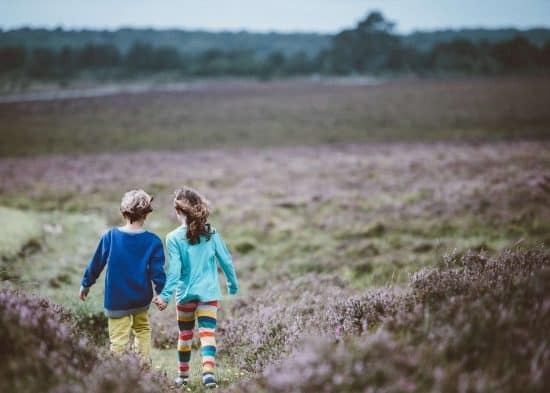 It’s safe to say that we spend lots of time using various forms of technology, but that’s no excuse for kids not to embrace the outdoors on a regular basis and get plenty of exercise. In this post, we’ll take a look at a few unique hobbies — from outdoor paintball to hiking trips — that can make sure your children stay active this year. In the digital age, we benefit significantly from the continual evolution of modern technology. While this is definitely a huge advantage for many aspects of everyday life and business, it has also made it a lot easier for the current generation to slip into lazy habits. These days, children spend less time outside than ever before. In fact, a survey in 2016 showed that three-quarters of UK children spend less time outdoors than prison inmates. If you feel that your kids are spending too much time glued to screens and would benefit from an outdoor hobby this year, here are a few unique ideas to pique their interest. Since the late 1990s, extreme sports have amassed a vast community of loyal fans, featured heavily in various forms of media (TV, films, video games, etc. ), and have become a popular choice of hobby for people of all ages. The UK has an abundance of skateparks and other extreme sports complexes that are suitable for beginners and experts, so finding a place for your kids to embrace their new hobby won’t be a problem. The exciting nature of these sports has made them extremely popular and is definitely their key selling point, but an adrenaline rush isn’t the only benefit your kids will enjoy. An increase in self-confidence, and introduction to a new social circle and a brilliant form of exercise are all part of the extreme sports experience. Taking part in these activities also shows them that progression requires time and effort — a seriously beneficial life skill and trait to carry over to their everyday life. Although it isn’t a new or revolutionary activity, in a world where fewer people are walking, hiking is definitely in the unique category. The UK is home to a wide range of scenic countryside, coastal walks, and mountainous regions that make it the perfect stomping ground for an avid hiker. A hefty stroll offers a variety of benefits for children, the most obvious of which being a boost to their health and fitness. Walking is an efficient full body workout that encourages physical activity, helps to improve their mood, and has been known to aid creativity. Plus, it’s a chance to get everyone off the sofa to see how great the great outdoors really is. If your children prefer adrenaline-fuelled activities that are highly competitive, you should look no further than the authentic combat scenarios of paintball. Many films and video games enjoy such immense popularity because it gives us an insight into the excitement and engaging nature of battle. It’s for this same reason that paintballing is the perfect hands-on alternative that gets kids up and active, jumping straight into an expertly designed battlefield environment. While this may sound like an activity more suitable for adults, paintball companies work tirelessly to ensure that every aspect of the sport is safe and perfectly suitable for younger players, too. Junior paintball uses reduced-power weapons that still hit their target, but do so without a heavy impact. Aside from being an incredibly exciting activity, outdoor paintball is also extremely beneficial in regards to health and fitness, teaching the importance of teamwork and communication. Plus, it’s a brilliant way for kids to socialise. Reasonable paintball prices also prove to a huge benefit for the parents footing the bill! Anyone who lives in the UK — and is aware of how unreliable the weather is — will know that whenever you’re planning outdoor activities, it’s always a good idea to have an indoor backup plan. The objective in rock climbing is simple: get to the top of a wall. But, that’s where the simplicity ends. 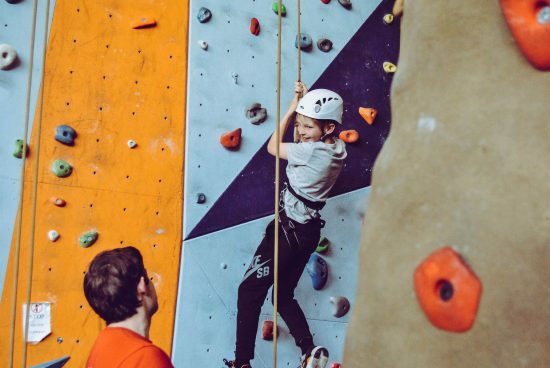 Navigating a climbing wall requires strength, motivation, creativity and problem-solving — all of which are valuable life lessons for your children. The concept of bouldering is very similar to rock climbing, but instead of making your way up a high wall, you’ll be climbing a boulder-shaped object. This is lower to the ground and therefore requires no harness thanks to a padded floor, which grants you a lot more freedom in regards to movement and flexibility. Plus, it’s a much better option if your child happens to suffer from a fear of heights. Exploring new hobbies and interests is a brilliant way for your children to enjoy themselves, make new friends, learn valuable life lessons, and benefit greatly from the exercise involved. Although not all kids are outdoorsy or fond of sports, with such a vast range of activities out there to try, you’ll have no trouble finding something to suit their needs.